The Pancreatic Cancer Journey: Baby It's Cold Outside! It may be crazy cold, but how amazing is this pic? 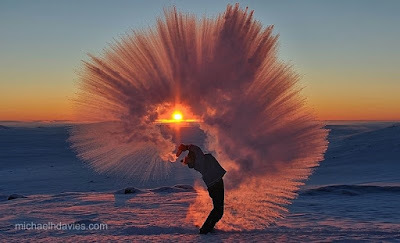 tossing tea on the Tundra in Canada in a -40 degree deep freeze! may you be surrounded by love and warmth and kept safe through the storm. Graced to know that Spring is coming! Does the Ketogenic Diet Live up to all the Hype?